The weekend comes with load of things to be done. However with a Saturday working, I sometime end up making some rotis with dal and fruit. The drumstick dal that Amma made was really so delicious that I didn’t even notice that it used drumstick leaves in it. Anyway coming back to the recipe, the green leaves of drumstick is supposed to be very healthy as all green leaves. However we don’t make it often as getting tender leaves is hard most times. And there is no question of growing this at home. So we end up making this not so often and that too as the regular method. I am sure after this, there is not going to be any other way at home. Wash and clean the drumstick leaves, keep it aside. Grind the sambar onions, 3/4 of grated coconut, red chil to a smooth paste. Pressure cook Moong dal in 2 cups water till well done. 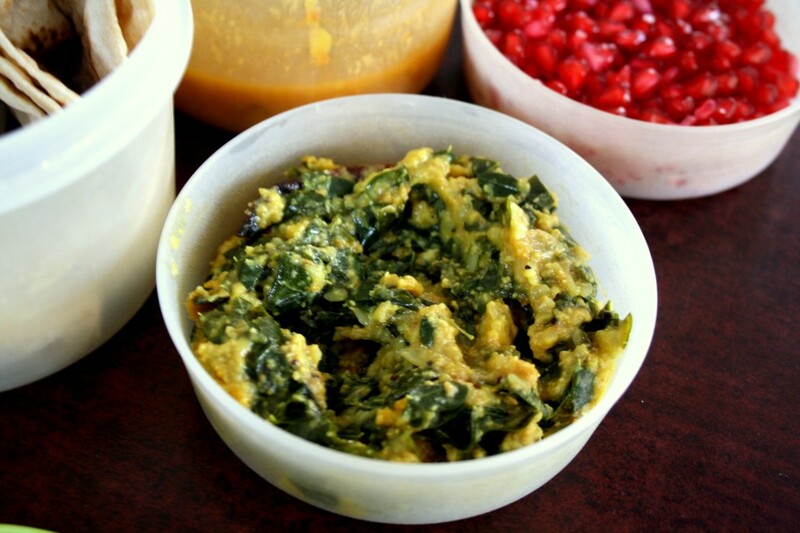 Once the dal is boiled, add the greens and a cup of hot water, cook it in open for 3 min. Heat a pan with oil temper with mustard, curry leaves, chopped onion, remaining coconut for couple of mins. Then add the ground paste, continue cooking till the whole things gets well cooked and oil comes out. Now pour this into the dal. The drumstick leaves tends to get bitter when it’s overcooked. The dal was a good pair with rotis. While my weekend cooking was a lunch meal, do check out what Vaishali and Champa have done during their Weekend Cooking. Lovely lunch box,wish i get those dishes for my lunch anytime. i tried sambhar and curry never tried this way 🙂 good srivali 🙂 i love the roti you prepared ! exact replica of hotel style ! 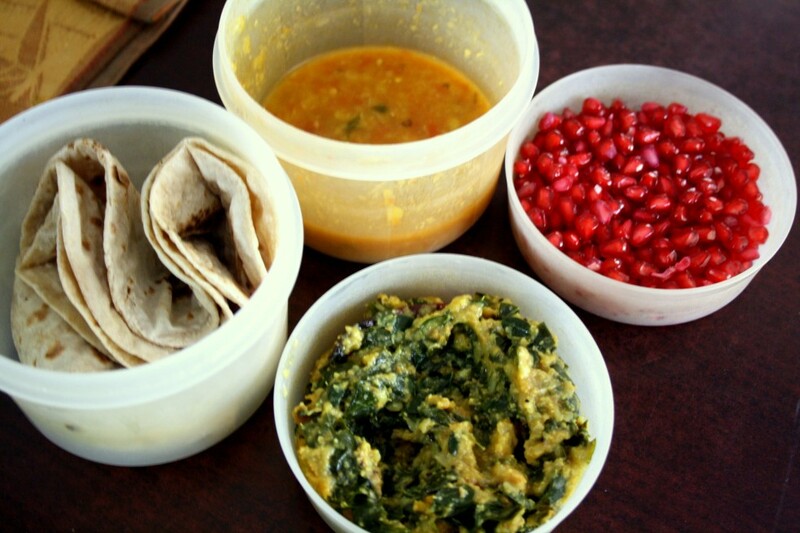 This is an innovation idea of lunch box recipes. It is simple and won't consume much time. I don't know munagaku pappu kura is my words but impressed with healthy ingredients. It is amongst best easy indian food recipes and can be prepared within short while.